who are committed to consciously evolving love in our lives and our world. 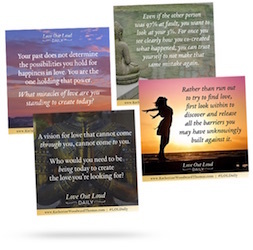 Sign up to receive the Love Out Loud (LOL) Daily for free tips to help liberate your heart, and evolve your ability to love and be loved moving forward. Learn to transform your sorrow into serenity, and your heartbreak into happiness.